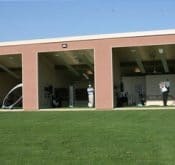 The new state of the art golf academy uses a FlightScope golf launch monitor as a training aid and primarily solar power. As golf lessons go, it’s 21st-century stuff. This year FlightScope introduced its X series, a range of 3D Doppler tracking radars that can be used in club fitting, teaching and practice. 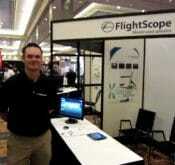 FlightScope will have three models on offer: X1, X2 Basic and X2 Complete. All three models will track the ball from launch to landing and measure spin directly. The following data parameters get published on the ball and its trajectory. FlightScope successfully concluded its first ever Science of Golf Teaching and Club Fitting convention hosted by the prestigious Laurel Links Country Club in Long Island, New York. In this video David Nel demonstrates the integration of the FlightScope X2 golf launch monitor and the E6 software.